Originally airing in Japan from July through December of 2009, Umineko: When They Cry (Umineko no Naku Koro ni) served as a 26-episode adaptation of the popular "sound novel" series. Our story revolves around the Ushiromiya family and their annual gathering at Rokkenjima, a secluded island off the coast of Japan. This year, patriarch Kiinzo is near death and the family needs to discuss how his wealth will be divided amongst the surviving family members...with "surviving" as the key phrase here. It's not long before bitterness, jealousy and greed get the better of them...but their attention is diverted by a fierce storm and even a few supernatural developments. It's not long before certain family members fall victim to increasingly disturbing murders, but what's the meaning of it all? Are their higher powers at work here, or have one or more family members simply decided to whittle down their financial competition? Perhaps "what's the meaning of it all?" is the most important question here, as Umineko feels like a fairly typical murder mystery but develops into a talky philosophical debate during its second half. 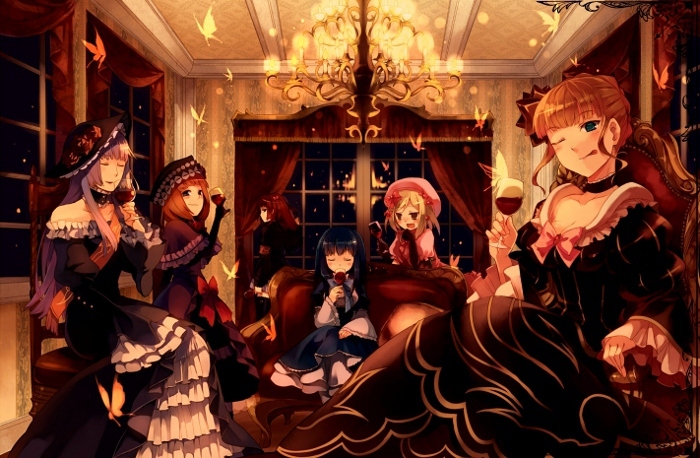 So while neither "murder mystery" nor "science vs. religion" are new territory for anime, TV shows or movies in general, the combination of both elements makes Umineko a substantially acquired taste. It's definitely a bait and switch affair for these reasons, yet its moody atmosphere, occasional twists and stunning visual design help some of the less impressive elements go down a little easier. The 26-episode series has been divided between two separate volumes (18 episodes for the first, 8 for the second), but one glance at the asking price for each installment may have budget-conscious fans running the other direction. Umineko: When They Cry is presented exclusively on Blu-Ray by NIS America...and apparently, both volumes are only available as "Premium Editions". These oversized, overpriced packages are available separately...and with a combined total of just 26 episodes, you're probably going to pay over $100 for a season's worth of half-hour episodes. Even with a few glaring faults along the way, it's still an interesting series...but only the most die-hard anime fans will choose Umineko over a week's worth of groceries. Not much to complain about here, as expected. Each episode of Umineko is presented in its original 1.78:1 aspect ratio and these 1080p transfers have no problem showcasing the series' eye-catching visuals. Colors and "textures" are handled particularly well with robust, strongly saturated hues, strong black levels and crisp line work. Digital eyesores such as banding, compression artifacts and edge enhancement are notably absent as well. 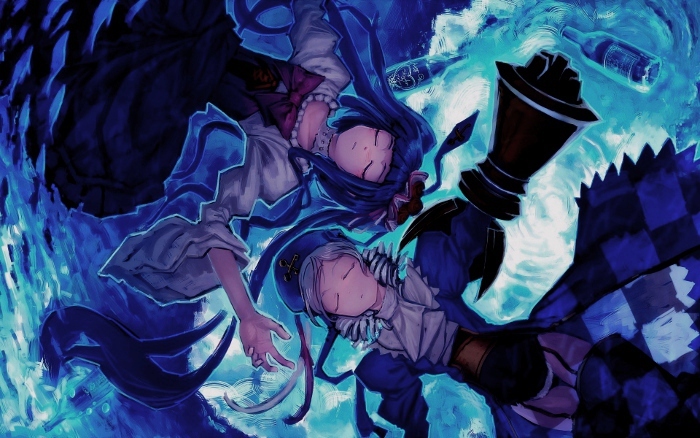 It's obvious that a lot of love and care went into Umineko's visual design; thankfully, NIS America's Blu-Ray presentation holds up its end of the bargain. DISCLAIMER: These promotional images are strictly decorative and do not represent these Blu-Rays' 1080p resolution. Although the audio is limited to LPCM 2.0 Stereo, it's a satisfying presentation nonetheless. 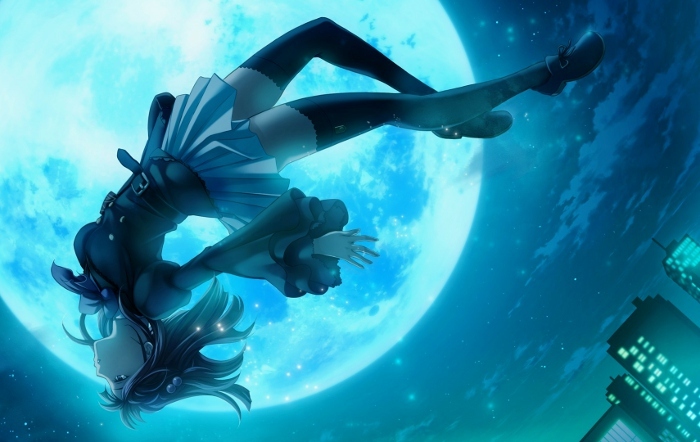 Presented in its original Japanese with optional English subtitles, the dialogue and music are crisp and don't fight for attention, with good channel separation and strong sound effects. 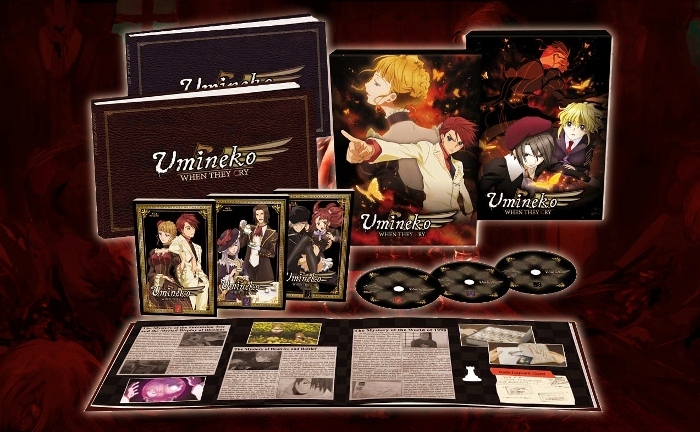 So while Umineko obviously doesn't sound "wide" or enveloping like the usual 5.1 surround presentation, fans should be pleased overall. The menus are attractive and easy to navigate, but what's really the selling point is the packaging. Seen above, each disc is presented in its own thinpak keepcase with attractive double-sided cover artwork. A hardcover book is also included with each volume and features character sketches, promotional artwork and subplot details from various episodes in the series. A sturdy slipcover holds everything together...and while it's definitely a shelf hog, those who appreciate fancy packaging will gladly make the sacrifice. It's good that the packaging is nice, because that's all you're getting, except for a handful of Trailers for other NIS America releases and a Clean Opening and Closing (1080p, 1:30 each) on Volume 2. Umineko: When They Cry is an acquired taste, as the "bait and switch" factor runs pretty high at times. Those who don't mind being thrown for a loop should enjoy this philosophically-charged murder mystery, especially since its stunning visual design helps some of the less impressive elements go down easier. Speaking of which, NIS America's Premium Blu-Ray release serves up a picture perfect A/V presentation and a deluxe packaging job, though fans who appreciate bonus features will definitely be disappointed. Due to the sky-high ticket price, I'd recommend that new viewers should try before they buy. Rent It.